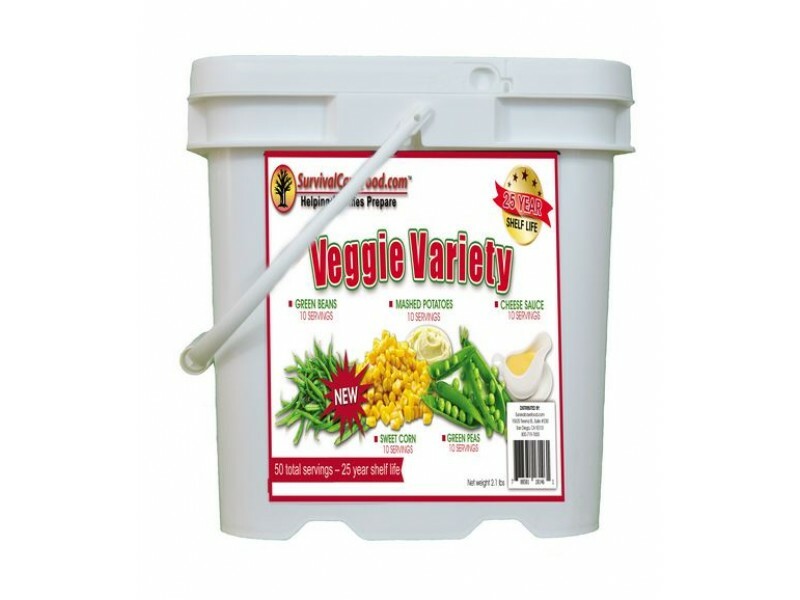 50 servings of vegetables and a delicious cheese sauce, packaged for 25 years of long term food storage and delivered in a convenient plastic bucket for easy storage. Packaged in polymetalized bags. 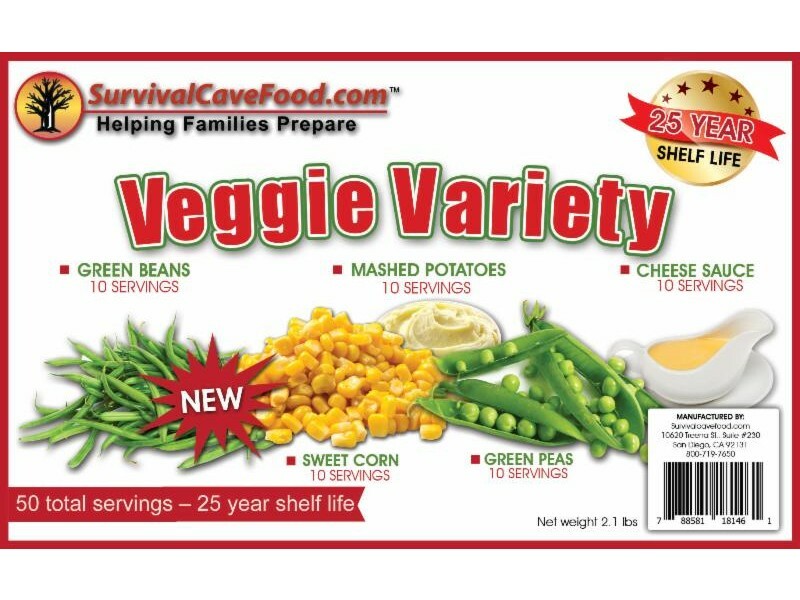 Sometimes you just need the vitamins that wholesome vegetables provide. 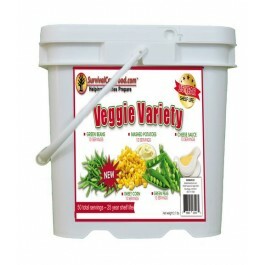 This vegetable variety food storage package gives you the most popular vegetables and even provides you with a cheesy sauce to enhance the natural flavor of each of these hand selected vegetables.